If it helps even one person get through the day.. 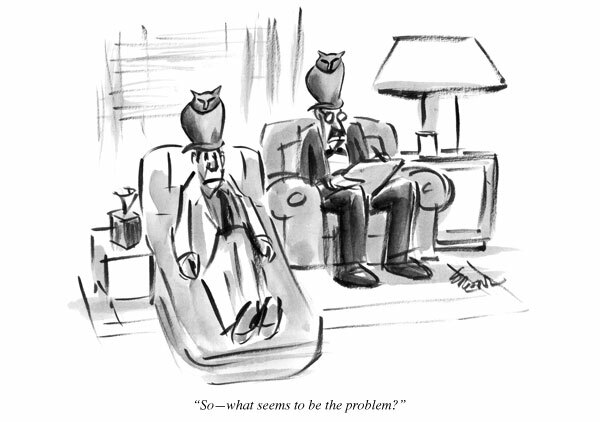 The ‘client’ thinks that having an owl on his head is an issue worth seeking psychological help for. The psychologist sees nothing wrong with his client because he also has an owl on his head, so it isn’t obvious to him why the client has come to see him. Laura, they clearly have cats on their heads… owls would just be silly!! OMG! How hilarious. The expression “… arse from their elbow!” springs to mind.